i want 2015 911 gt3 rs. i need to make a store run and see if i can find it. will have to check at wal mart. Only one I care about too! Another black EF with some graphics is coming out too. Haven't seen yet though. 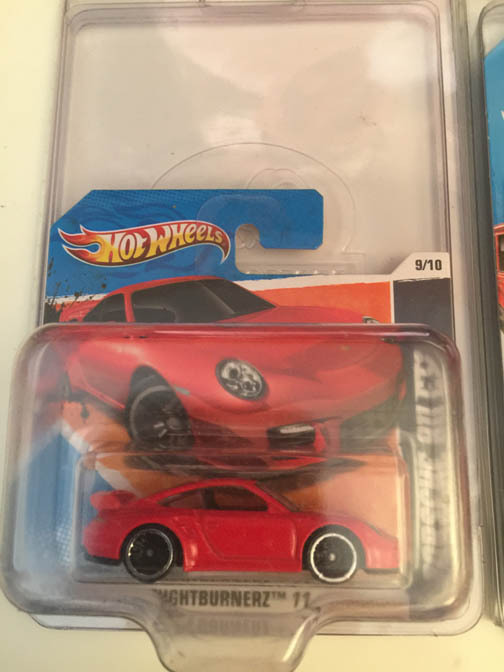 My number one pet peeve that Hot Wheels does is when they label something so specifically and then give it an improper and gaudy paint job. That AAR Cuda for instance, is not an AAR Cuda. The First Edition they came out with a few years ago was gorgeous, but why put it out with all those stupid graphics that an AAR Cuda never came with? Ruins it for me. And nobody in their right mind owns an actual AAR Cuda that isn't restored to original specs/paint. Do you guys open yours or keep them all packaged? And anybody have any nice displays? My wife always gives me crap because I buy them and store them away in bins and hardly ever look at them. 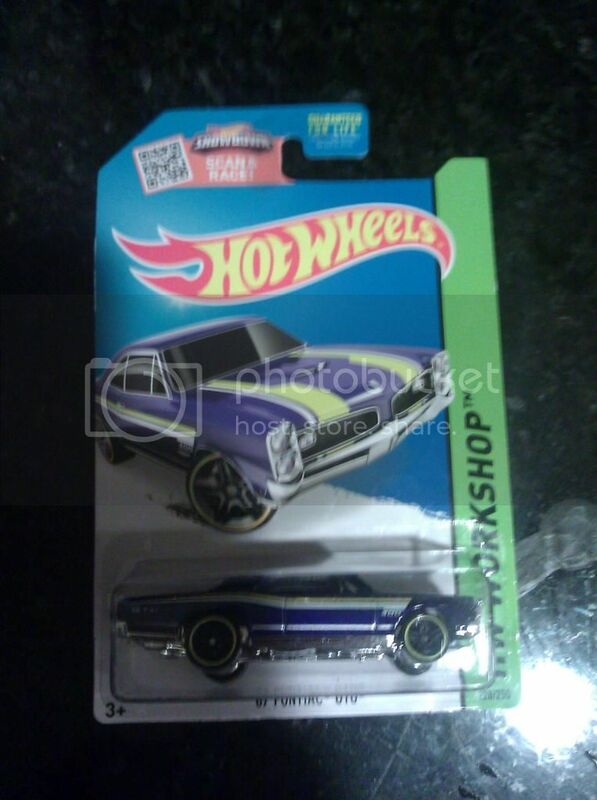 Except for the odd actual 'rare' one or the numbered production Hot Wheels Club and Convention cars, I'm getting to the point where I accept that the common ones aren't ever going to be worth much regardless of packaging. 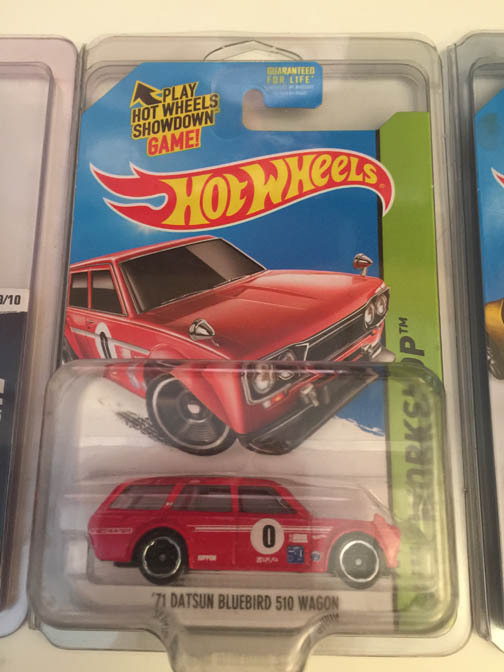 An old redline in a package is worth money because nobody thought in 1970 that a kids toy would be worth anything, but nowadays every nerd in sight has toys in original packaging thinking they'll get rich some day. 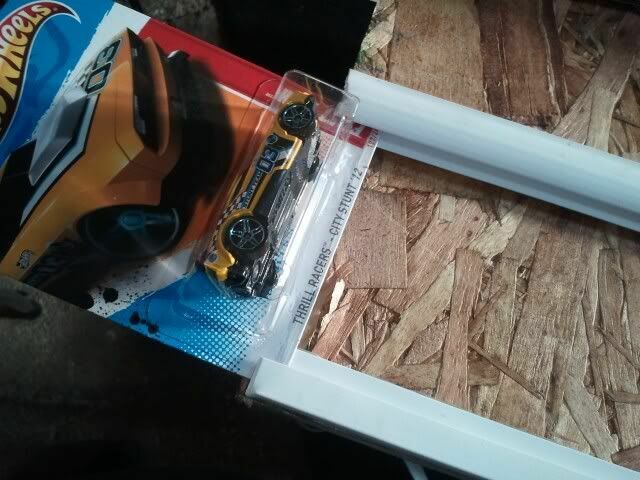 Especially the "adult collectable" lines, like the Classics, Drag Strip Demons, etc, I'm just thinking of opening them and trying to come up with some sort of decent display I can put them in. However then the issue becomes how do you keep the dust out of the display so you're not constantly having to clean them? Would like to see what other people are using. I have some opened from when I was a kid. Only open the doubles now. My daughter has a few and we play on her rug. For the most part they are in a tub, its more about the hunt. For example I have never seen a snoopy anywhere and I have seriously looked. this one? a few have shown up on ebay. 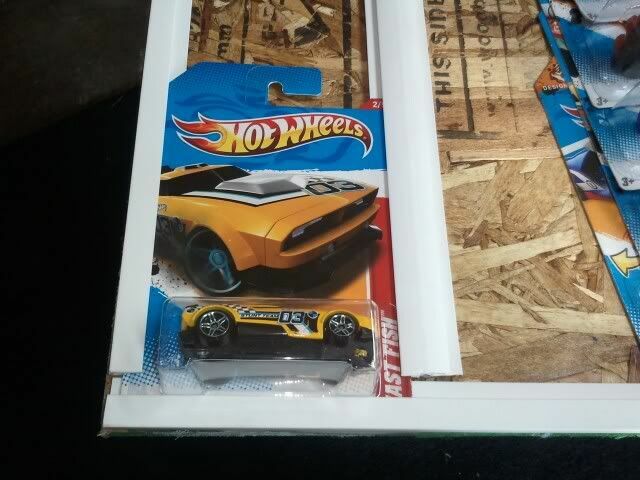 Yup, just released in the international boxes. Do you watch racegrooves on youtube? 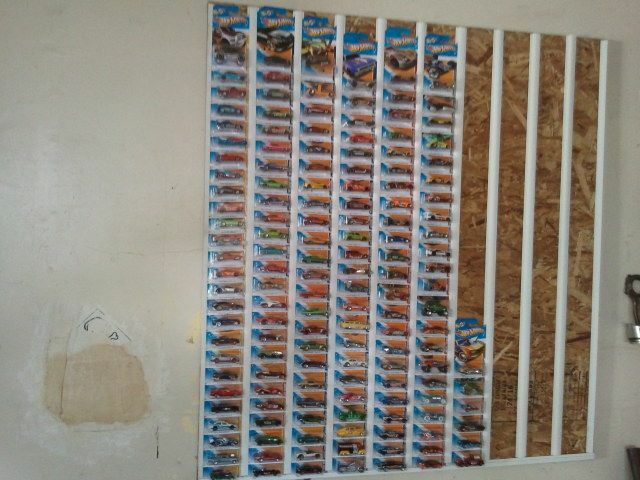 For display storage I did..
Buy strips like these from Home Depot.. 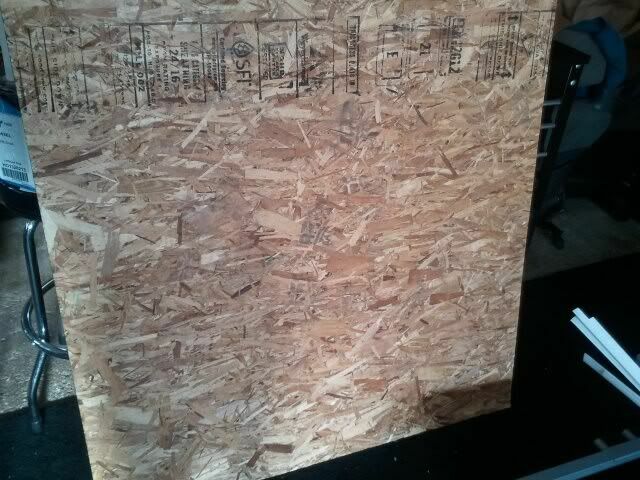 While at Home Depot get you a osb board of preferred size.. 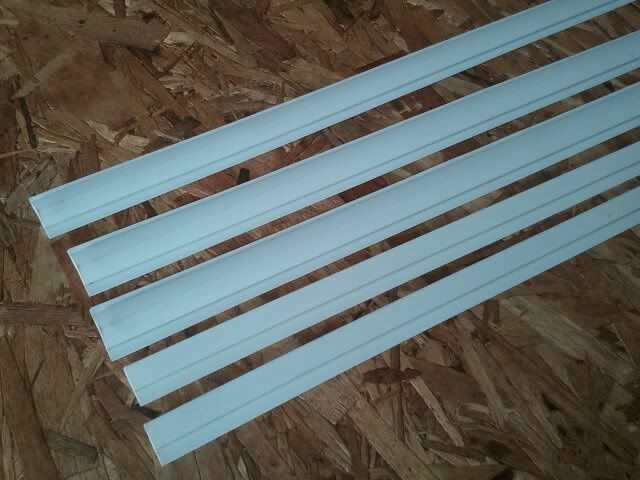 Step 4, 5, 6, 7, etc. are pretty much straight forward.. Please don't ask me how many I have. I've been collecting these things for years! 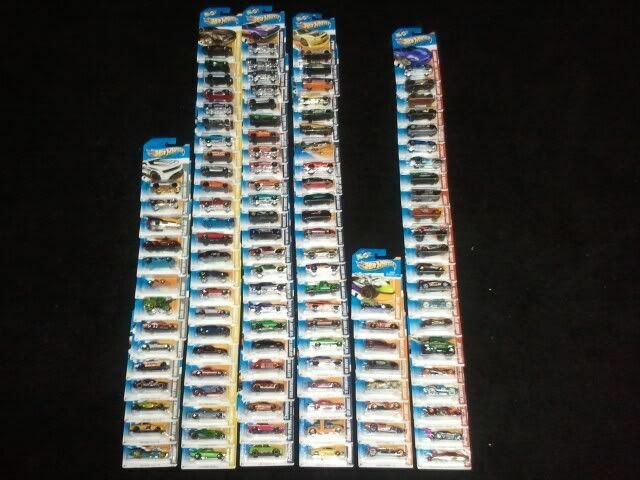 Last time I counted these like 4 yrs ago now I had 800+ (500 something opened (loose)) and 300 something unopened. 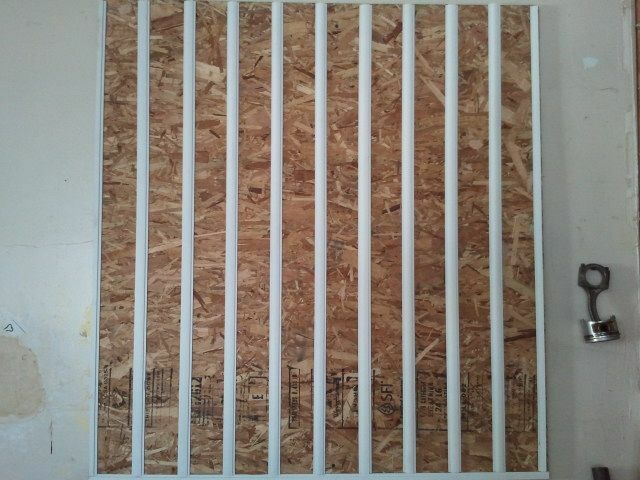 That was before I made that osb board display I just posted. 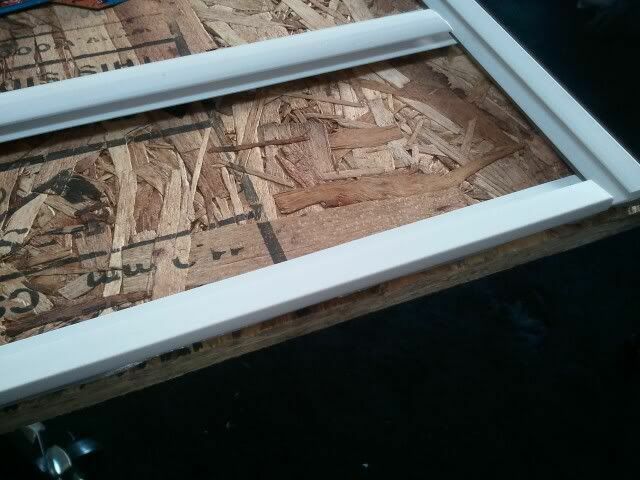 That display was from the 2012 collection. All of those are in numeric order. Almost completed it but towards the end they get harder n harder to find... I think I needed about 30 to complete teh 250. 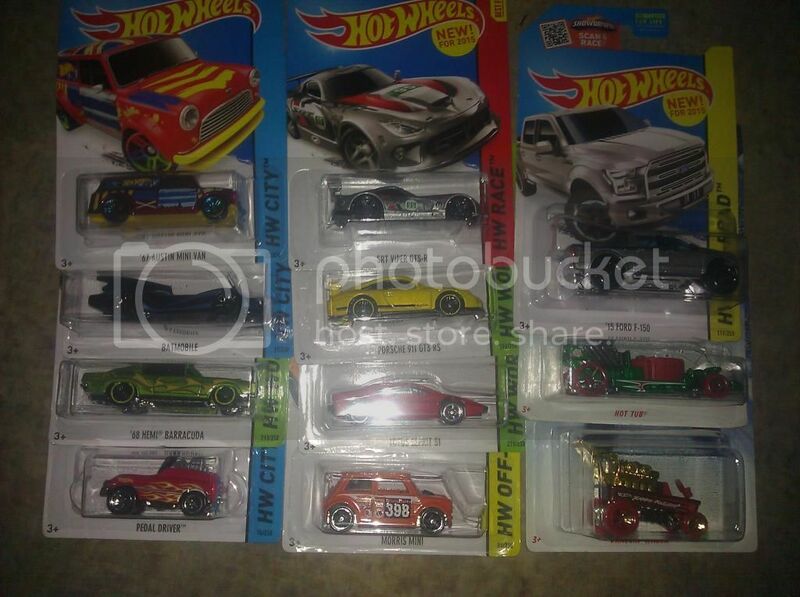 I didn't get too many in '13 but last year I did catch myself buying a few here n there. All still in k-mart n toys R us bags lol. I've been wanting to make another display board like above but I need more wall space haha. That's pretty sweet. What would you say that all cost? 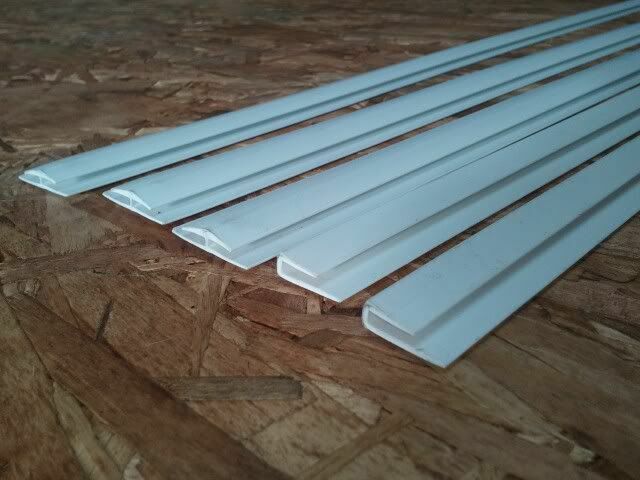 What are those strips you bought normally used for? As in what section of Home Depot would you find them in? Anyone have any displays for their loose ones? 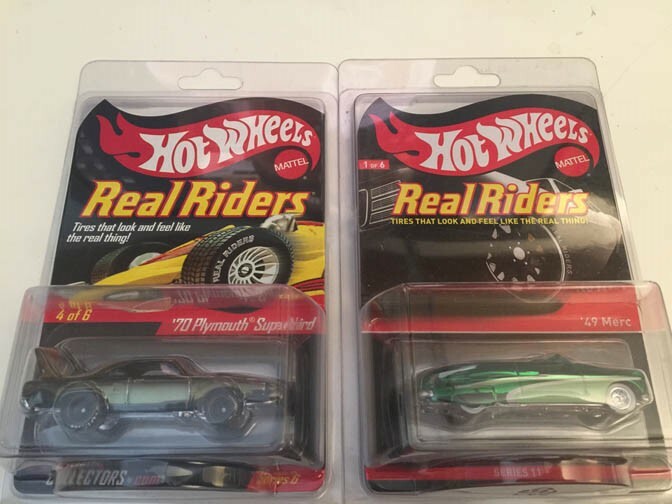 I saw a few acrylic ones on eBay that looked nice, but pricey, basically worked out to be $1 per car they stored plus shipping on top of that. 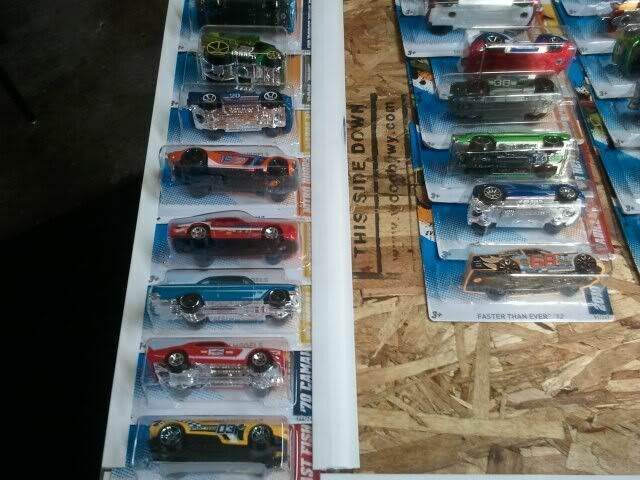 I don't really want to spend $50 to hold 50 $1 cars. 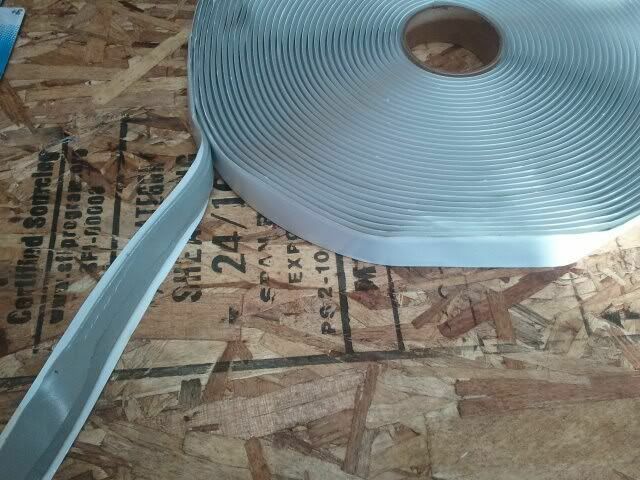 Check out racegrooves.com he has a link about the thread cases at walmart. They use to have jammers but apparently kids were getting hurt. Interesting that they chose an EF out of all the Hondas. 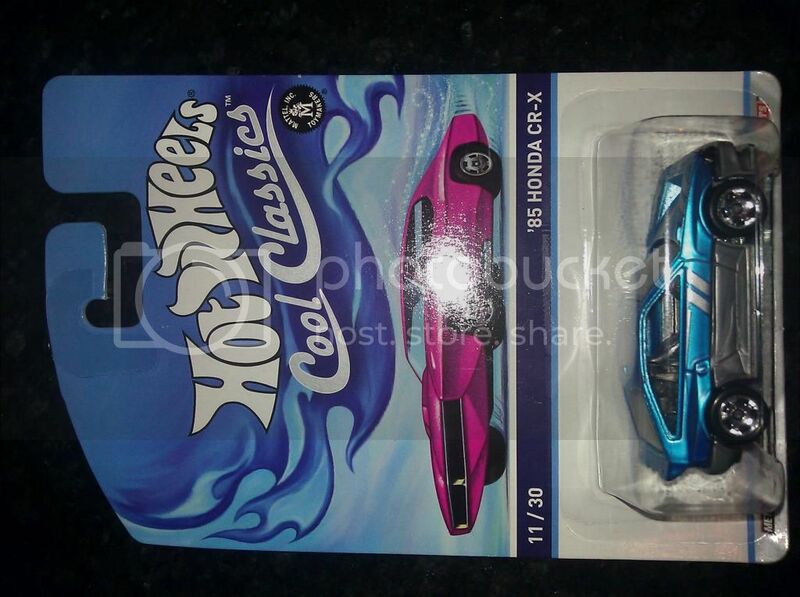 Someone who works for hot wheels has introduced quite abit of Hondas lately. NSX both styles, S2000's and the EF's. There are some others too like older Civic's. No i don't, but ill check it out. 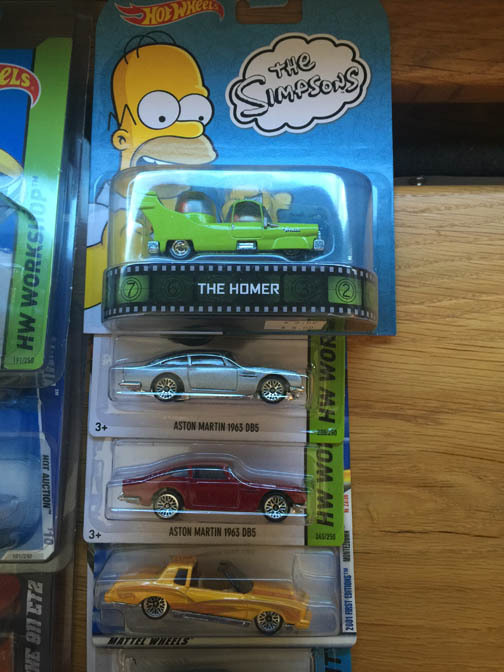 That looks like a T-top 78-80 Monte Carlo on the bottom. Inderdasting. 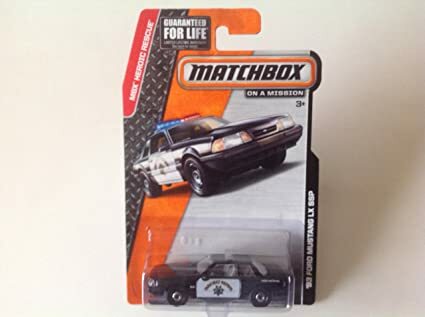 Stumbled across the SSP Mustang in the Matchbox section, I was surprised Matchbox seems to have been regulated to dozers and farm equipment. 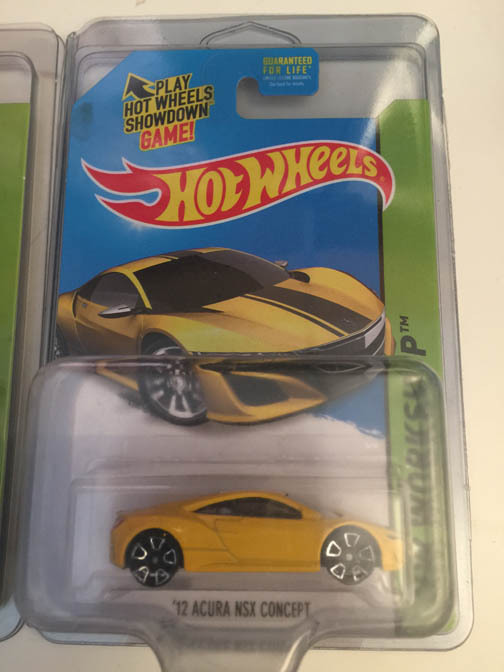 I put the new NSX one in my daughter's stocking for Christmas. It's already raced her Ferrari and been ran over by my son's Tundra Brodozer. Best part of having kids, playing with Hot Wheels and Legos.